To produce the nation’s best professional mechanical engineers; passionately rooted to the foundations of Pakistan, open-minded to innovate and capitalize on the greatest of present-day technological advancements, uphold all sustainability development protocols and continuously strive to become the most valuable asset of our society. 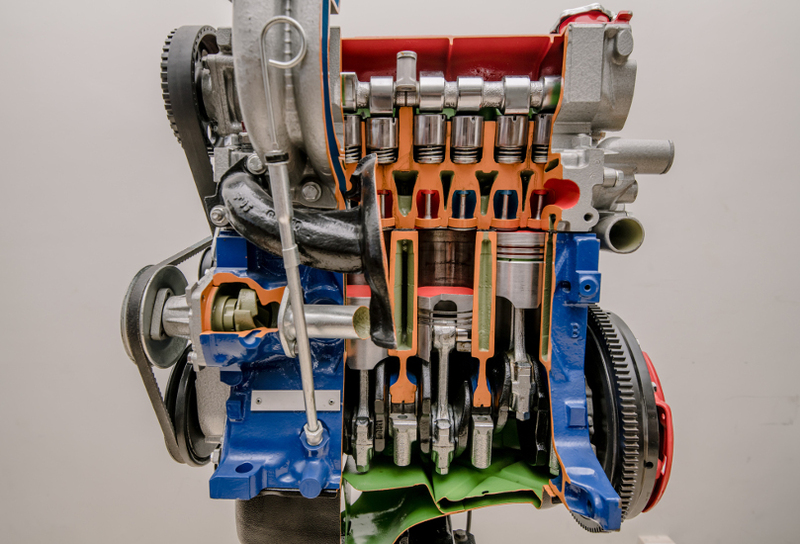 Mechanical Engineering is essential for all fields of technology. It is one of the principal disciplines of Engineering , which has always been in demand and will continue to be in the future. The DSU faculty of Mechanical Engineering is one of the best team of experts available in this part of the country. It is a decent blend of experience in teaching, research and industrial expertise, namely in areas of HVACR, Materials Engineering, Propulsion Systems, Renewable Energies, CAD, Computational Mechanics, CAE, Simulations, Rotor Dynamics, Structural Mechanics, and Mechanical Vibrations. Their knowledge and expertise will nurture the students to learn and adopt best engineering and technical practices. The future Mechanical Engineers of DSU will be the leaders of tomorrow’s Pakistan. 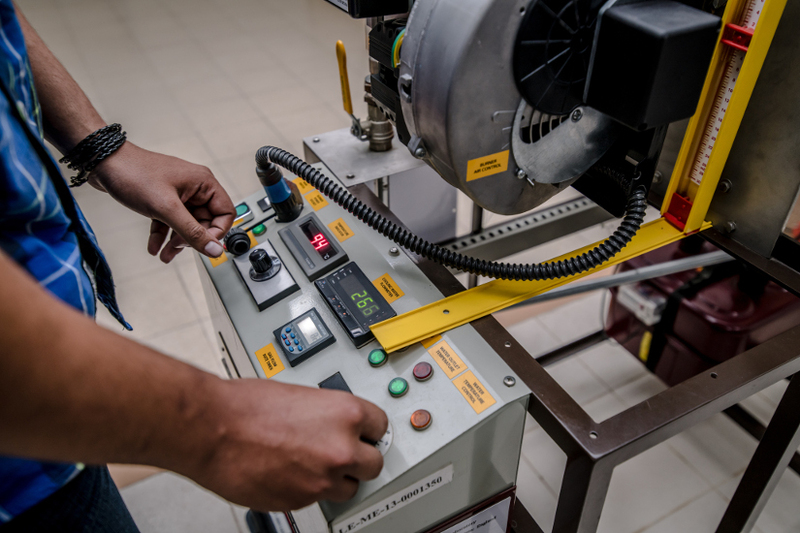 BE in Mechanical Engineering from DSU offers students the opportunity to prepare for careers in traditional as well as emerging technologies related to Mechanical Engineering like Fuel Cell Technology, Robotics, Mechatronics, Nanotechnology and Renewable Energy Systems. 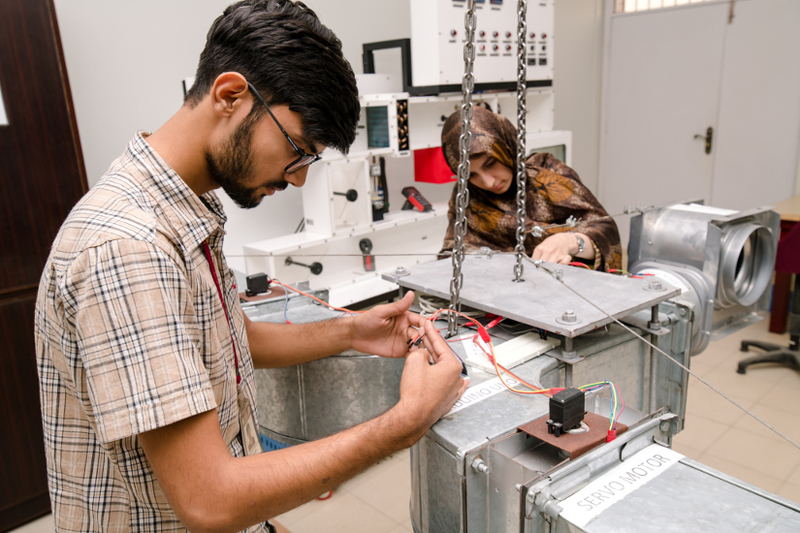 In addition to these, conventional engineering technologies involving power generation, structures, machines, automotive design, manufacturing, materials’ development, plant engineering, maintenance, pressure vessels and piping engineering, heating, refrigeration and air conditioning systems are possible career options in the developing economy of Pakistan. DHA Suffa University has hosted industrial professionals and technical heads of various engineering organizations. In this endeavor Karachi Tools Dies and Molds Center, AmanTech and Zona Pakistan are already on board, while DSU’s collaboration with further organizations is just around the corner. Our mutual collaboration will result in faculty research support, student exposure, technology incubation, internships, case studies, and professional training workshops. Valid Test Score of NEDUET, NTS NAT (IE) or SAT II, if appeared. Applicants submitting their NEDUET, NTS NAT (IE) or SAT II test scores obtained within last one year shall be exempted from taking DSU’s entrance test. To provide an education that builds within students a solid foundation in knowledge and practice of Mechanical Engineering, instills good ethics, develops effective communication skills and keeps pace with current relevant technologies to enable them to play a useful role in society. Following are Program Educational Objectives (PEOs) graduates are expected to have after 3 to 5 years of graduation. 1. Be effective professional engineers grounded in sound engineering knowledge and practice. 2. Be responsible engineers, who exercise good ethics in their professional pursuits with due consideration to impact on society. 3. Be able to advance their knowledge and adapt to technological changes in the field of mechanical engineering. Following are Program Learning Outcomes (PLOs) graduates are expected to have by the time of graduation. An ability to apply knowledge of mathematics, science, engineering fundamentals and an engineering specialization to the solution of complex engineering problems. An ability to identify, formulate, research literature, and analyze complex engineering problems reaching substantiated conclusions using first principles of mathematics, natural sciences and engineering sciences. An ability to design solutions for complex engineering problems and design systems, components or processes that meet specified needs with appropriate consideration for public health and safety, cultural, societal, and environmental considerations. 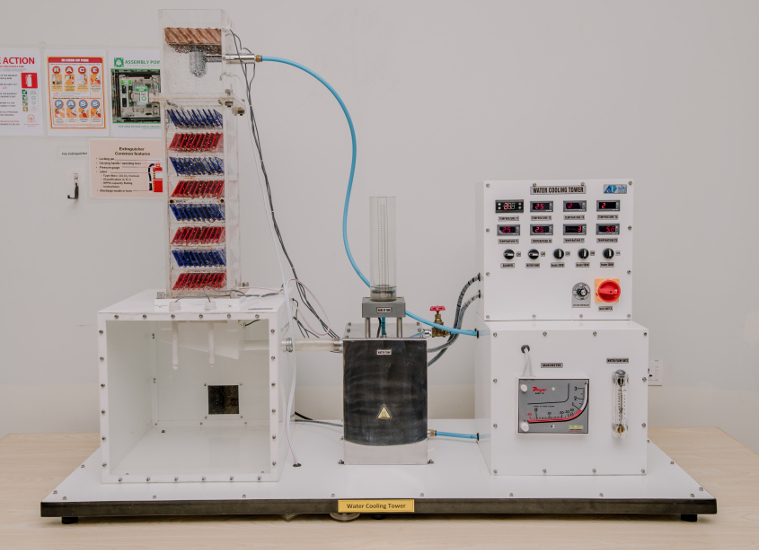 An ability to investigate complex engineering problems in a methodical way including literature feedback, design and conduct of experiments, analysis and interpretation of experimental data, and synthesis of information to derive valid conclusions. An ability to create, select and apply appropriate techniques, resources, and modern engineering and IT tools, including prediction and modeling, to complex engineering activities, with an understanding of the limitations. An ability to apply reasoning informed by contextual knowledge to assess societal, health, safety, legal and cultural issues and the consequent responsibilities relevant to professional engineering practice and solution to complex engineering problems. An ability to understand the impact of professional engineering solutions in societal and environmental contexts and demonstrate knowledge of and need for sustainable development. Apply ethical principles and commit to professional ethics and responsibilities and norms of engineering practice. An ability to work effectively, as an individual or in a team, on multifaceted and /or multidisciplinary settings. An ability to communicate effectively, orally as well as in writing, on complex engineering activities with the engineering community and with society at large, such as being able to comprehend and write effective reports and design documentation, make effective presentations, and give and receive clear instructions. An ability to demonstrate management skills and apply engineering principles to one’s own work, as a member and/or leader in a team, to manage projects in a multidisciplinary environment. An ability to recognize importance of, and pursue lifelong learning in the broader context of innovation and technological developments. Mapping of individual PEO with PLOs is depicted in following table. The University reserves the right to change fee/charges on yearly basis. MS/PhD Research Fee will be charged as per credit hour Tuition Fee. Advance Tax (under section 236-I) shall be collected @ 5% on the entire amount of fee (if the student’s payable fee exceeds Rs. 200,000/- per annum, excluding the amount refundable).